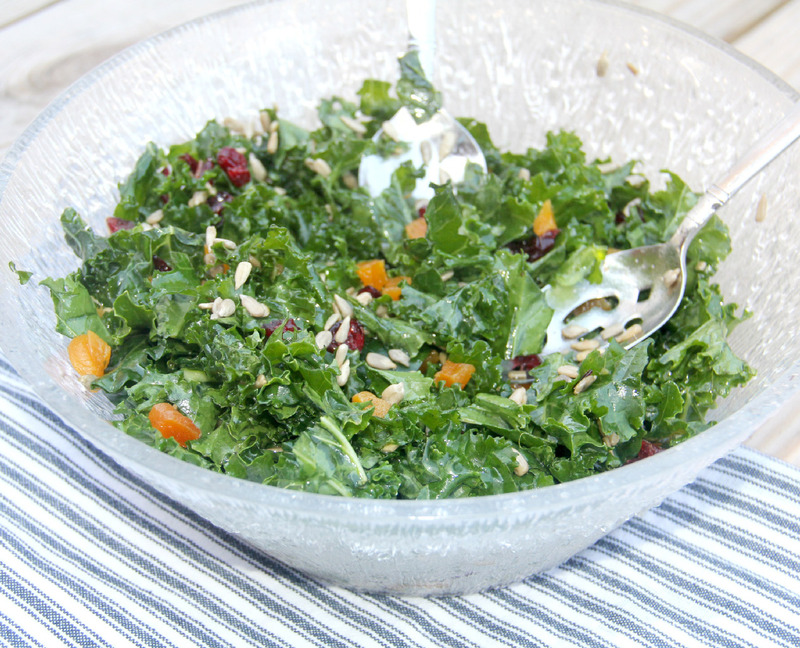 Easy Kale Salad with Mango Chutney Dressing is simple, elegant, healthy, and delicious! Filled with assorted dried fruit and toasted sunflower seeds, this salad is a pretty addition to any meal. Oh my goodness, let me tell you about this easy kale salad. It is amazing. And EASY. It’s fruity, crunchy, light, and absolutely delicious. And it’s healthy! How can you beat that?! 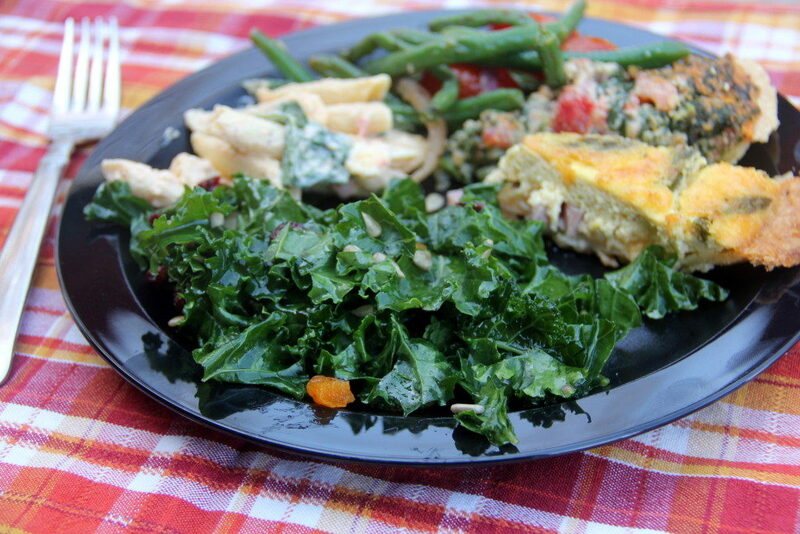 I first had this easy kale salad at my friend Kelly’s house over Christmas. We all raved over it so she shared the recipe, which she had gotten from a friend who clipped it from Rachael Ray’s magazine. 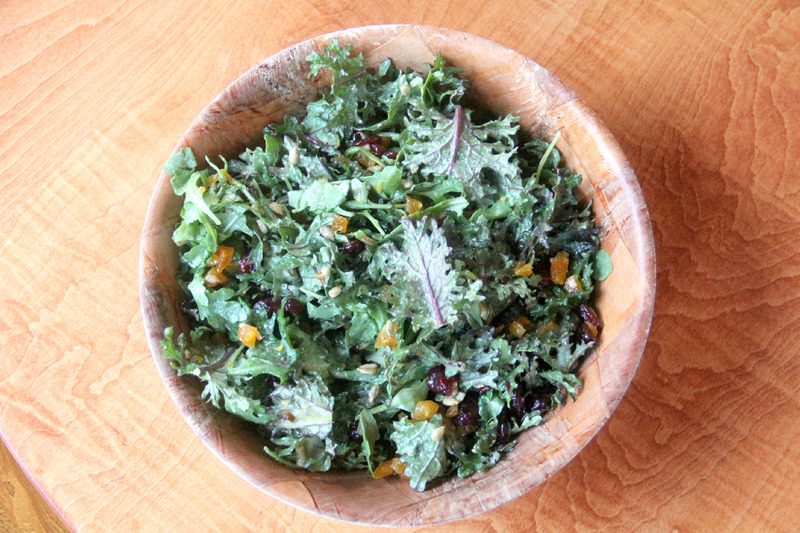 With a mango chutney dressing, fresh kale, dried fruit, and toasted sunflower seeds, this salad covers every taste experience from sweet to savory to crispy. It is really a great way to eat kale because it cuts the bitterness completely. If you’ve been wanting to jump on the healthy kale bandwagon and just weren’t sure where to start, this kale salad recipe is for you. And if you’re trying to convince your significant other that kale is actually tasty, this kale salad might do the trick! 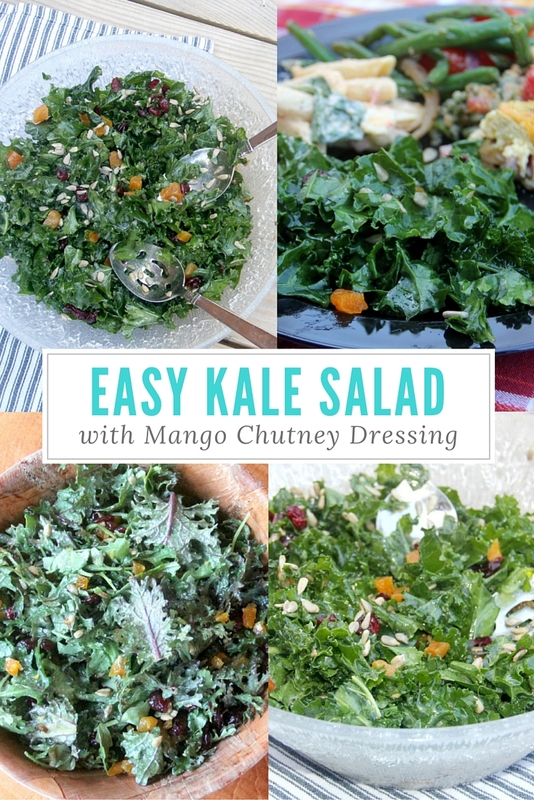 Easy Kale Salad with Mango Chutney Dressing is simple, elegant, healthy, and delicious! In a blender, puree the oils, chutney, lemon juice, garlic, salt, and pepper until smooth. 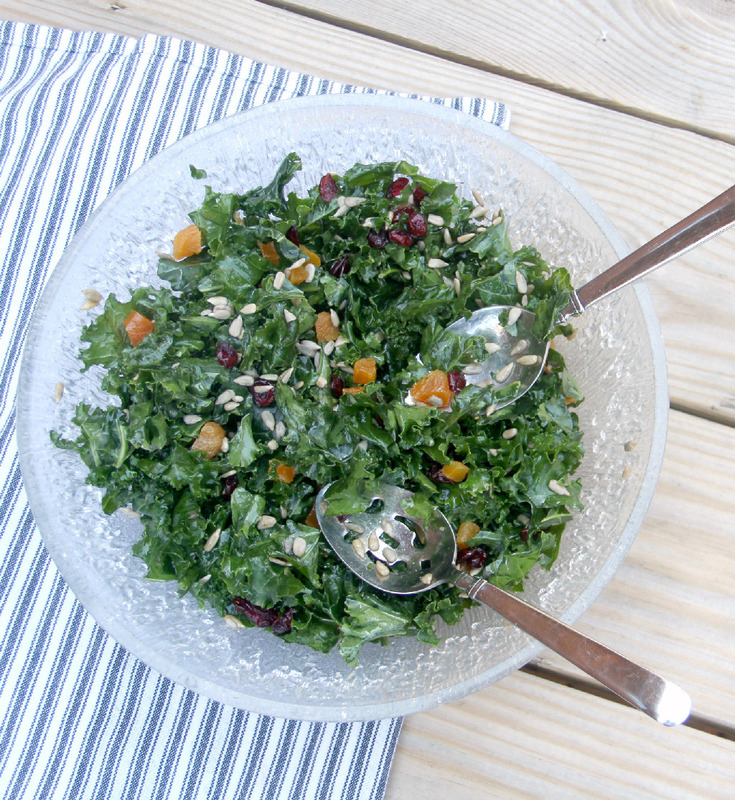 In a large bowl, toss the kale, dried fruit, and sunflower seeds with the dressing. Adapted from Rachael Ray magazine.